The Brighter Side YYC: Enjoy the "little" things! Through all the tough and heartbreaking news of late, it's time for some inspiration! 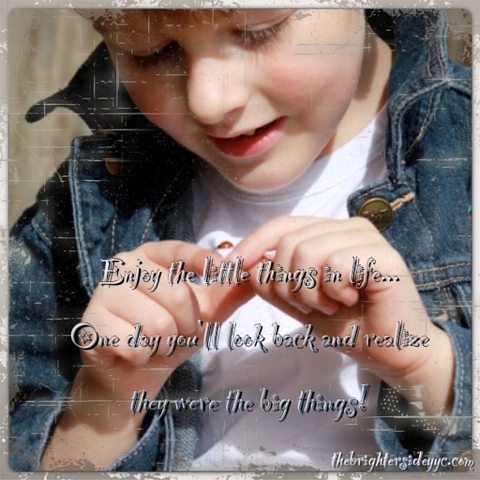 "Enjoy all the little things in life.... One day you'll look back and realize they were the big things!"